Last night during the The Search Police: Matt & Duane’s Excellent Search Engine Adventure session at SMX West, Google's Matt Cutts and Bing's Duane Forrester played roles in Bill & Ted's Excellent Adventure. Who was Rufus? Danny Sullivan. It was pretty funny and added a bit to the panel - although personally, I just wanted to get to the Q&A session. You can see my live blogging of the panel over here. 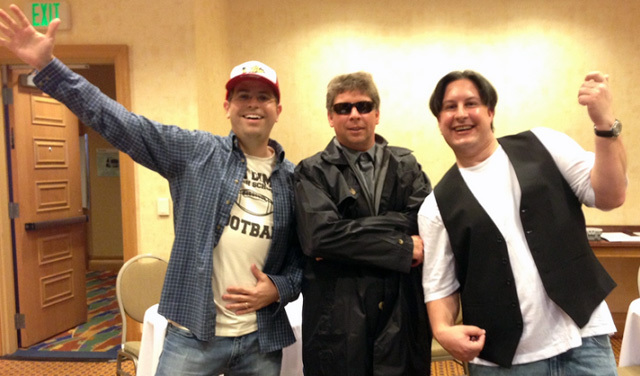 Above is a picture from Marketing Land on Google+ of the three search personalities in costume.